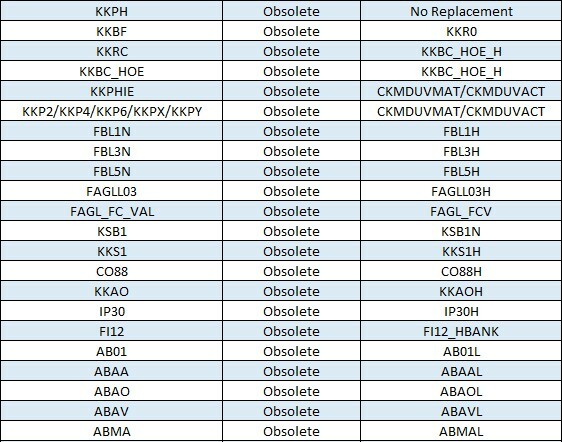 Certain Transaction codes and programs have been removed and partially replaced with new transaction codes and programs in S4HANA Finance. 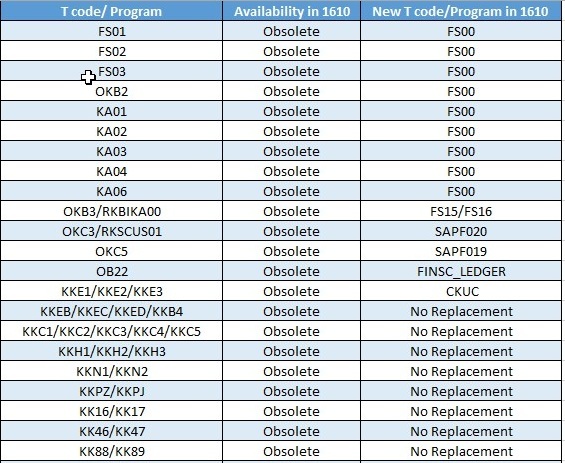 I have attempted to furnish the maximum information on replaced and Obsolete T codes in the OP 1610. If you find something missing in this list, please comment. However there are certain transactions and reports which are no longer compliant with certain country specific (transaction codes and programs) legal requirements have been removed. 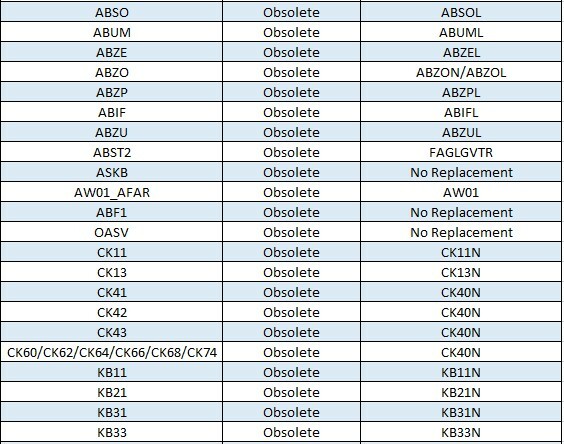 For more info on this, kindly refer the following notes and simplification list for SAP S/4 HANA 1610 Initial Shipment stack. Although some of the old transactions are still available, we can notice the additional features or else optimized features in the new transactions. Have you made any additions to the list and do you possibly have it as an Excel / text ? I am trying to make a list for a project and I have found your list to be more inclusive than the only official list i have been able to find in note 2270335. The list available above is of release OP 1610 FPS01 Initial Shipment wreck. I had the list available in .txt, excel formats but not sure how to upload it or share it? If you are looking for FPS02 latest list , you can find it in note 1946054. However most of the transactions are included in the above list except few which are subsumed under webdyn pro applications. Just wanted to say thanks for sharing this list. I have been looking for this kind of comprehensive list for a while. By any chance, do you have available the list in Excel? Thanks for your support .Yes i had the list available in Excel format but not sure how to upload or share it . Any inputs on how to upload or share the excel format is appreciated. Please… What is BP? Nem T code? yes it’s a new TA code. BP is the single point of entry to create, edit, and display master data for business partners, customers, and vendors. 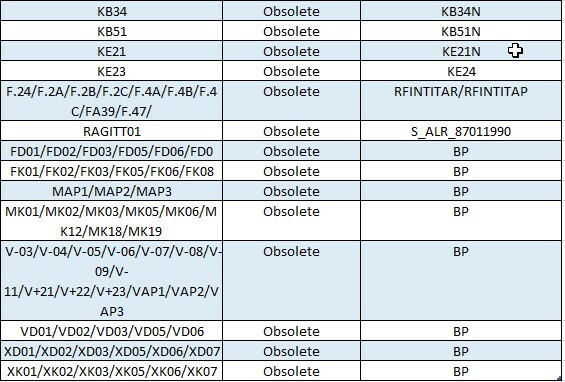 We replace Tcodes : XD03, XD02. XK03 , XK01 & XK06 with Tcode: BP but during testing we several auth error saying add back above mention tcodes. then what is the use of obsolete, that’s make me confuse, anyone put some light on it, I will be very thankful.